I have been creating letters, lots and lots of letters. But not just the letters - also the cutting files for all 26 letters in .studio, .svg, .dxf, and .pdf formats. Each letters has 5 layers and 6 cutting files. That is 6 files in 4 different formats or 24 files for each letter! And... 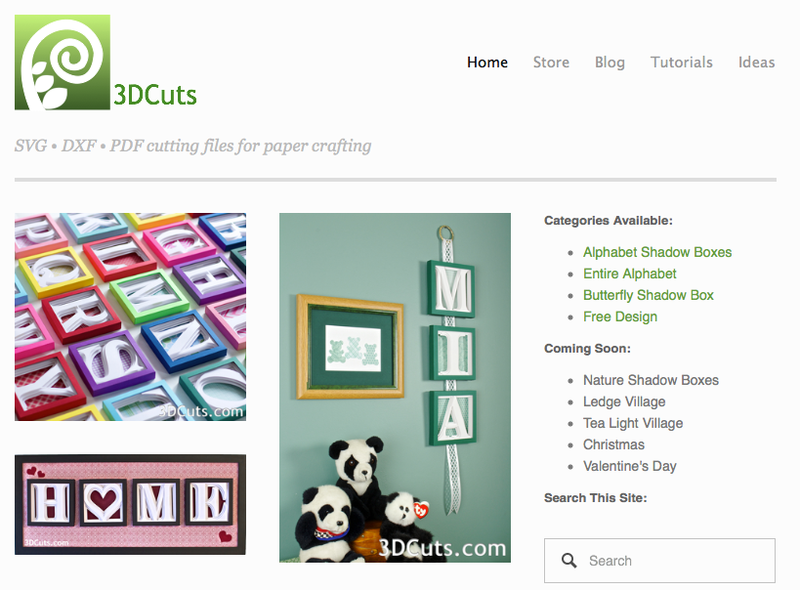 This week I launched a new website over at 3DCuts.com. I have spent a lot of time getting it operational and it represents a few firsts for me. It is the first time I have made my cutting files available in various formats including .svg, .dxf, and .pdf. 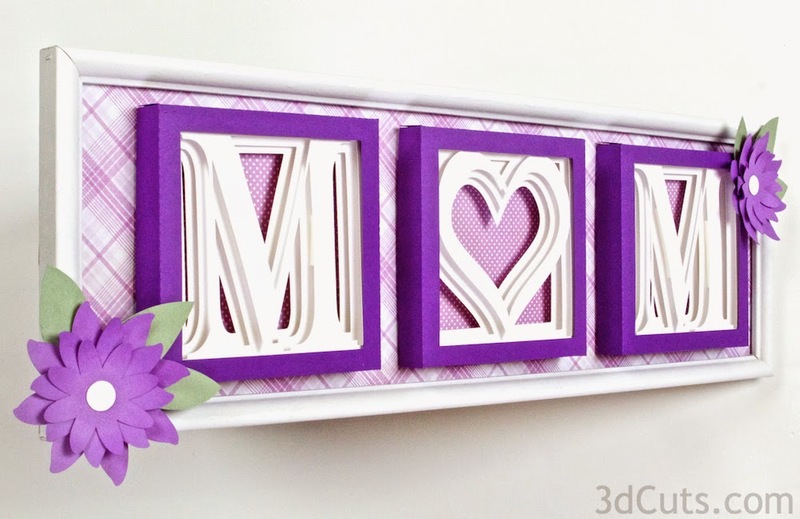 The design possibilities are endless with this alphabet! What ideas do you have for it? LOVE the idea!!! You're right, the possibilities are ENDLESS!!! I've signed up for email notices on the site already!!! Thanks, send photos of any sample you make for me to share. Enjoy crafting. What a fantastic idea.....I wish you every success which I am sure it will be.